Anyone who knows me will know that I love a good cup of tea. What can I say? I’m British! Us Brits love our tea. So when Newby Teas contacted me about their With Love Edition gift set of teas I jumped at the chance! We have two cupboards in our kitchen dedicated to hot drinks, so I’m all up for adding to my tea collection! 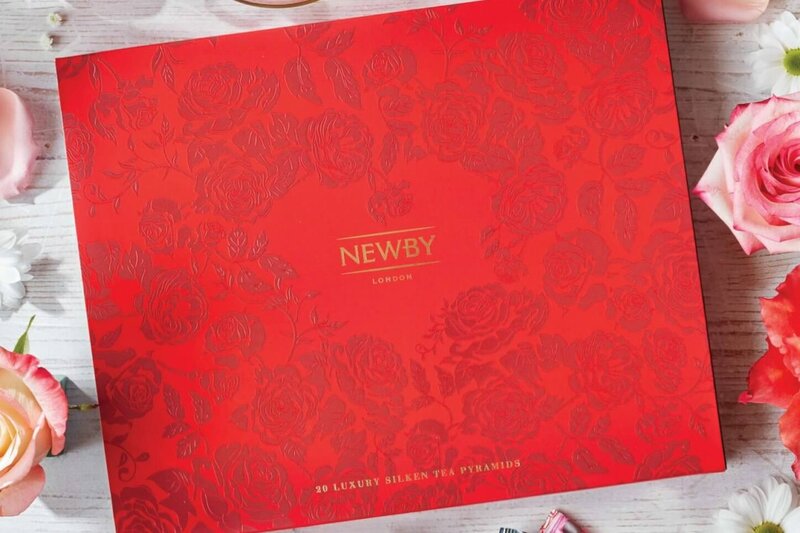 I’ve got to be honest, I’d not heard of Newby Teas before, but I was not disappointed when my With Love Edition gift set arrived. The box of silken pyramids of tea comes covered in a beautiful red rose pattern, and each tea bag is individually wrapped for freshness. This selection box comes with four different flavours of tea; Jasmine Princess, Hunan Green, Rooibos Orange, and Strawberry & Mango. I’m a huge fan of Green teas and Jasmine teas, so was really looking forward to trying these ones. But I have to admit I was a bit apprehensive about trying the other two flavours of tea. I’d never tried a Rooibos tea before, and I’m always hesitant about fruits teas. The reason why? So many fruit teas have hibiscus in them as well as the main fruit flavours, and I hate the taste of hibiscus. If you’re not a big fan of fruit teas, I advise you check the ingredients and try one that doesn’t contain hibiscus, you may be pleasantly surprised! Anyway, back to Newby Teas! They have lots of different types of teas, from gift sets like this (which I think would make a lovely Mother’s Day present for that tea-loving Mother in your life) to various tea caddys, and loose leaf teas, not forgetting those all important accessories – tea pots, strainers, cups and saucers. Having tried these new flavours, I think that Jasmine Princess is definitely my favourite from the Newby Teas – With Love Edition gift set. It has such a light and fresh flavour to it. The Rooibos Orange tea suprised me by coming a close second. It has such a subtle orange flavour to it that doesn’t dominate the cup too much. I was cautious of trying the Strawberry and Mango tea, as it suggests brewing for 6-8 minutes. In a normal cup of tea I think I’d just cry if someone let my tea brew for that long, I think I’m closer to 6-8 seconds!! I am one of those weird ones though that drink it (Earl Grey these days) very weak with no milk. If you can still see the bottom of the cup, it’s perfect! However, I followed the advise, and was nicely surprised. The flavour wasn’t too overpowering like I feared, but instead has wonderful sweet and sour notes from both the fruits. My personal preference would be to add a sweetener or two to it, as I feel that brings outs the flavours more. But as I said, that is my personal preference, and it wouldn’t suit everyone to do that. And the final one of the set, Hunan Green. A light and refreshing cup, with a slightly sweet aftertaste. Chris tried this one too, even though he doesn’t usually like green teas, and he said ‘actually, it’s not all that bad’ I think that’s as much praise as any cup of tea will ever get from Chris! I could quite happily have a constant supply of all of these in my cupboards. I’d definitely be more adventurous in trying other tea flavours now too. I’m quite intrigued by the selection of Flowering Teas that they have on their website. They look like they would be good fun to watch open up while they brew! 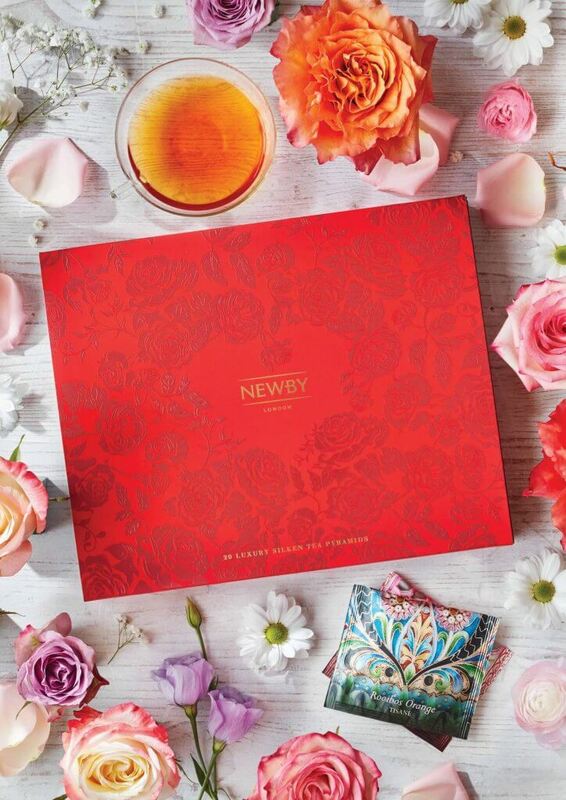 The Newby Teas – With Love Edition gift set is available for £22. Disclosure – This product was sent to us for the purpose of this review, however all opinions are my own.